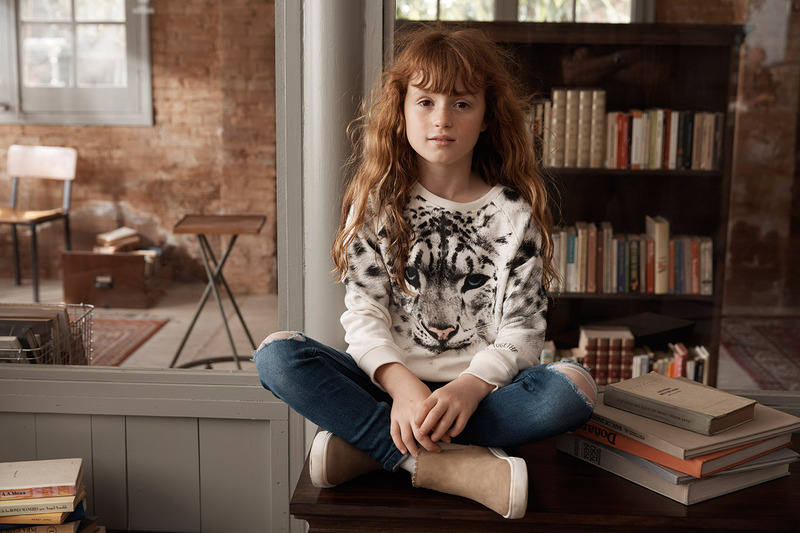 H&M has launched their first ever fall/winter Studio kids collection just in time for back to school! The collection draws inspiration from some of our favourite folktales and fairytales, including Alice in Wonderland and Swedish stories of John Bauer. Available now in stores worldwide, the collection “turns folkloric fairytales into fashion reality…” says Ann-Sofie Johansson, creative advisor for H&M. Fairytale influences are evident throughout the collection with impeccable details. Embroidery is seen throughout on pieces like jackets and capes. The fabric choices in the collection are a big pull for any parent looking for a put-together outfit for their child; lace, wool, leather and a fall runway favourite, velvet, all make appearances in seasonal staple colours such as black, white, red, gold and rose. Key looks from the line include voluminous smocks, ponchos and billowing blouses; winter essentials like coats, faux-fur collars and velvet leggings; leather jackets and pants with rock-star attitude and (a standout from the collection) the white tuxedo shirt – a seasonal essential. Smartly tailored coats and blazers will easily pull together any look in a sophisticated yet kid-friendly way. The collection doesn’t stop with folklore fashions. For the perfect fairytale party, H&M Studio offers charming party kits complete with cups, plates, napkins and invitation cards as well as whimsical embroidered animal masks. 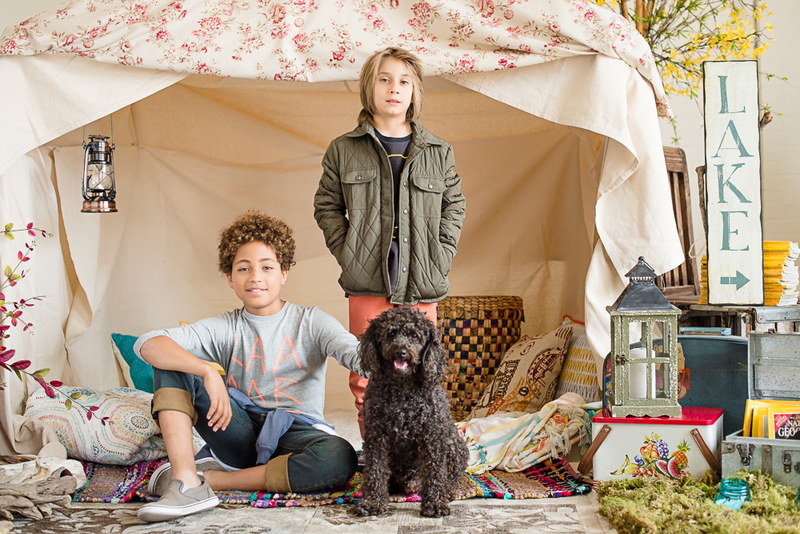 Here are a few of our favourite pieces from the H&M Studio Kids Collection!